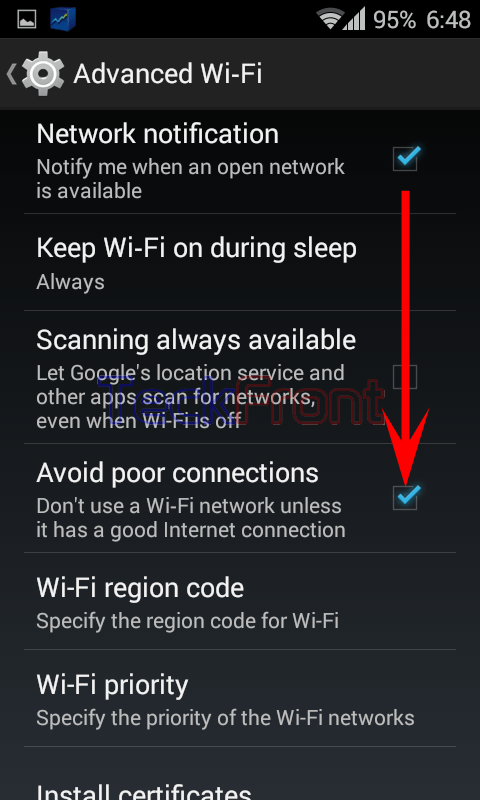 How to Avoid Poor Wi-Fi Connection in Android 4.4.4 KitKat Phone? Quality of Wi-Fi signals depends, largely, upon the quality of the Wi-Fi connections for communication in Android 4.4.4 KitKat phone. 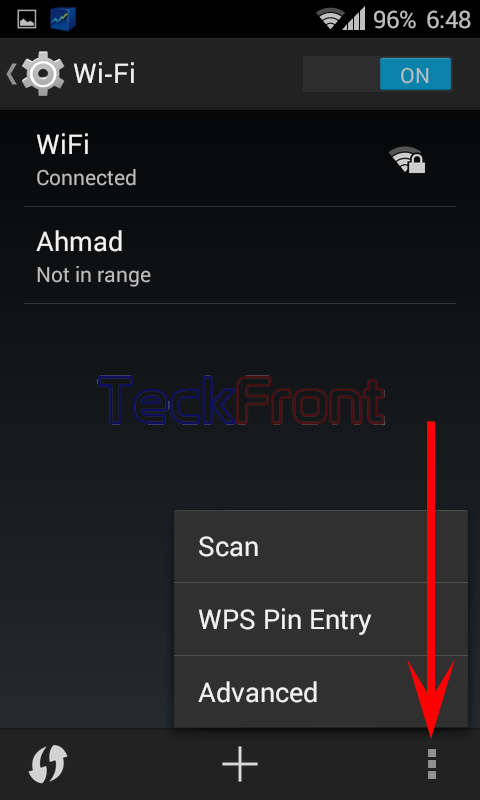 Sometimes, Android phone may detect Wi-Fi connections which have weak and poor signals, resulting in the distorted signals and poor communications. But, remember this may be due to the fault of the smartphone but it is primarily due to the quality of the signals. The best practical approach for the Android phones is to catch the signals which are strong or refuse to catch the weaker signals, at all. You may set the Android 4.4.4. KitKat phone to contract only strong connections and avoid the poor connections. This is possible if the following instructions are followed. Command Line: Settings > Wi-Fi – WIRELESS & NETWORKS > Wi-Fi Screen > Wi-Fi SETTINGS BUTTON > Advanced Wi-Fi > Avoid poor connections. 1: Follow the Command Line to open Wi-Fi screen. 2: Tap the ‘Settings’ button, available at the bottom left corner of the Wi-Fi screen. It will open up a settings popup menu. 3: Tap the ‘Advanced’ in the settings popup menu. 4: At the ‘Advanced Wi-Fi’ screen, see the ‘Avoid poor connections’. Its instructions are: Don’t use a Wi-Fi network unless it has a good Internet connection. This option is not checked and disabled. 5: Tap ‘Advanced poor connections’ to check it and enable it. Now, your Android 4.4.4 KitKat phone will check the quality of the signals of the Wi-Fi networks. If the signals are poor and of lower quality, i.e. coming from weak Internet connection, your Android 4.4.4 KitKat phone will not receive it and will avoid it. That’s all! Newer How to Close Apps, Running in the Background, in Android 4.4.4 KitKat Phones? 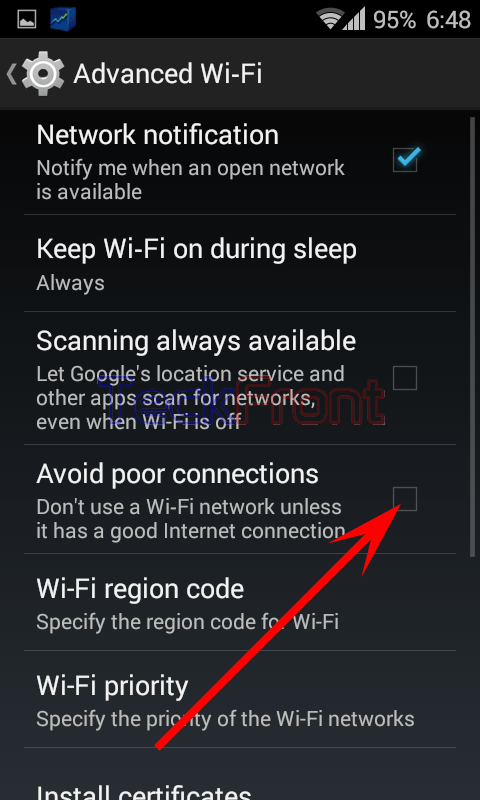 Older How to Switch ON Wi-Fi App by 4 Different Ways in Android 4.4.4 KitKat Phones?